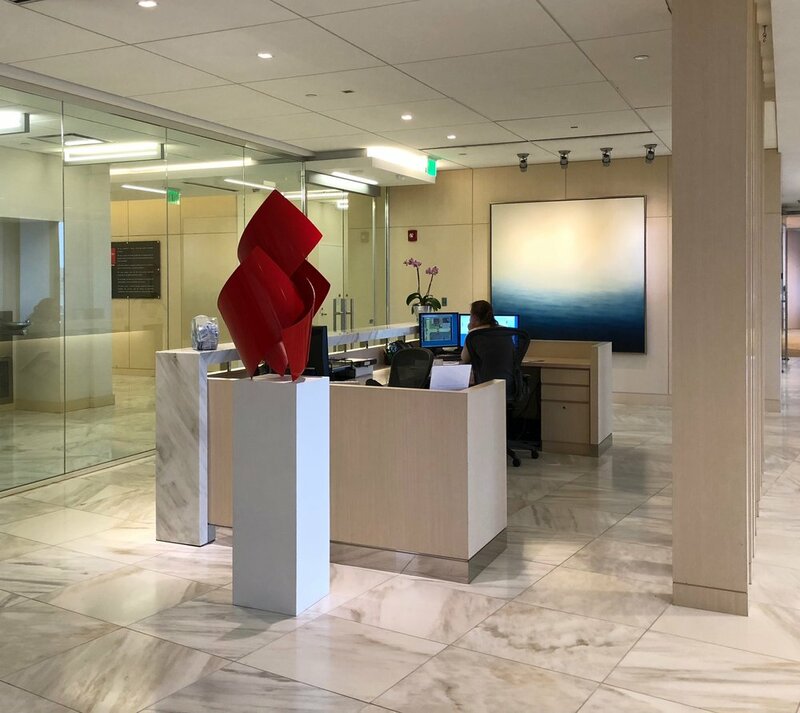 Although the majority of my clients are private collectors, I was thrilled to have the occasion to create a unique collection for a commodities trading corporation with offices in Houston and in Stamford, CT. Each piece was carefully selected to convey themes of significance to the client: water, especially the coastal regions of the South and the Northeast, the color of the company's logo (red), and references to their industry. Works in the collection include paintings, sculptures (including a site-specific commission), unique works on paper, and photography. We were also able to use some imagery of company assets as the starting point for some abstract pieces created especially for this project. 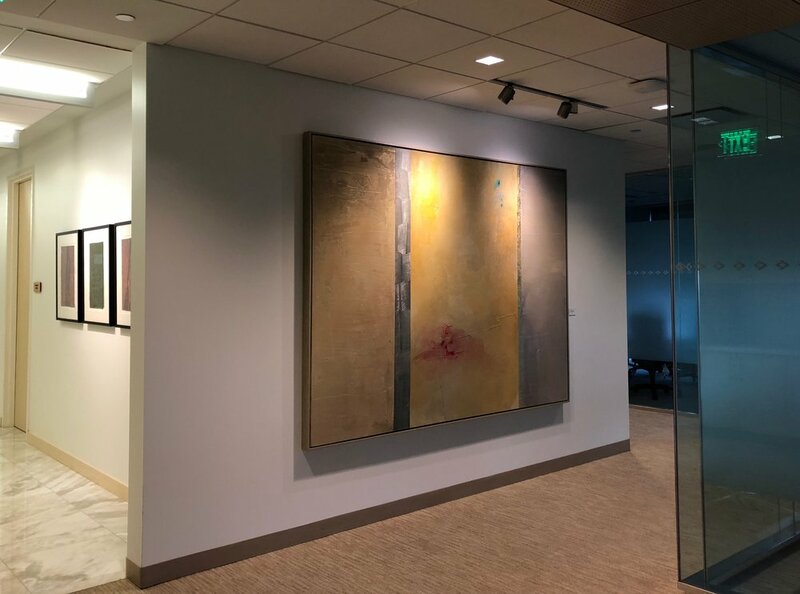 Despite the fact that this project required a larger number of works than I normally deal with at once, the approach was identical: listen, discuss, search for just the right pieces that will stand the test of time and suit the space, coordinate shipping, framing, installation and lighting, and document the collection. It was a terrific experience.